According to recent statistics, the U.S. dental industry has grown by 2.5% in just the last five years and is expected to bring in $135 billion in revenue during 2019. That said, not every practicing dentist wants to continue to own their established practice. Due to the growth of this sector, it may be a good time to transition to another venture or even retire and sell your dental practice. But how does one go about selling a dental practice? To ensure you’re able to navigate this progress successfully, you’ll want to keep the following tips in mind. Firstly, you’ll need to zero in on why you want to sell your dental practice and what you hope to achieve by doing so. Typically, most dentists sell their dental practice is because of a wish to retire. What are your top priorities here? If you need to sell your dental practice by a certain cut-off date, the timing may be a bit more important than your financial return. But if you have the luxury of taking your time, you might have the option to execute a more detailed plan in order to fetch the price you have in mind. You might also have other concerns, like retention of original staff members or finding a buyer who is already familiar with the community you’ve served. Once you have a clear picture of the most important reasons for selling, you’ll be able to come up with ways to achieve your goal. Before you ever entertain the thought of selling, you need to know the value of your practice. That’s what an appraisal (also known as a valuation) is for. You can meet with a dental practice transitions expert to evaluate the details of your practice — like its location, yearly collections, expansion potential, physical attributes (number of operatories, Square footage, etc. ), remodeling potential, & more. This can help you to establish the right asking price and ensure that you have all the necessary information to field offers and negotiate with a buyer. Encompass provides highly vetted industry professionals to support the transitions process, so the dentist doesn’t have go through the vetting process themselves. This is a major benefit of using a dental practice transition company. In situations like these, it’s recommended that you enlist help from industry professionals who can provide specialized services. When you’re considering selling your dental practice, you must enlist help from industry professionals who will provide specialized services. These services allow for due diligence on your end to ensure that you can sell your dental practice for a fair price. If you’ve decided that the time has come to find a new buyer for your dental practice, we’re here to help you along the way. 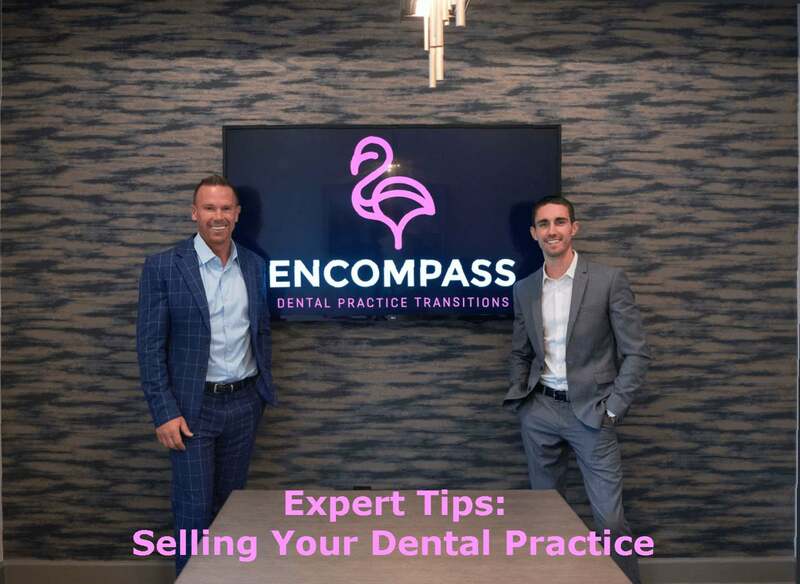 To learn more about how our services can streamline this process and provide you with the valuable information you need, contact the experts at Encompass Dental Practice Transitions today.